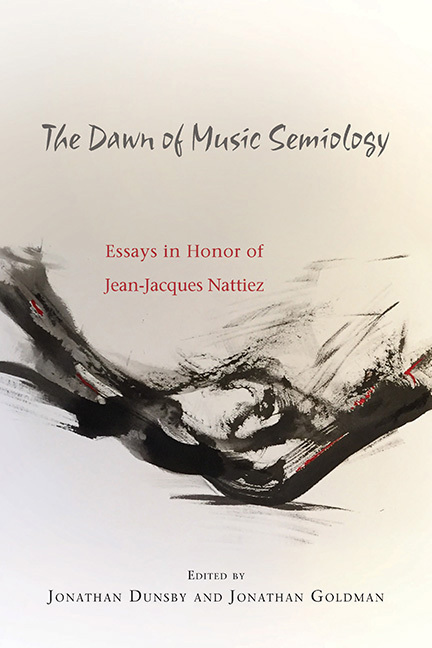 The Dawn of Music Semiology showcases the work of nine leading musicologists, inspired by the work of Jean-Jacques Nattiez, the founding father of music semiology. Now entering its fifth decade as Nattiez enters his eighth, music semiology, or music semiotics, is still a young, vibrant field, and this book reflects its energy and diversity. It appeals to readers wanting to explore the meaning of music in our lives and to understand the ways of appreciating the complexities that lie behind its simple beauty and direct impact on us. 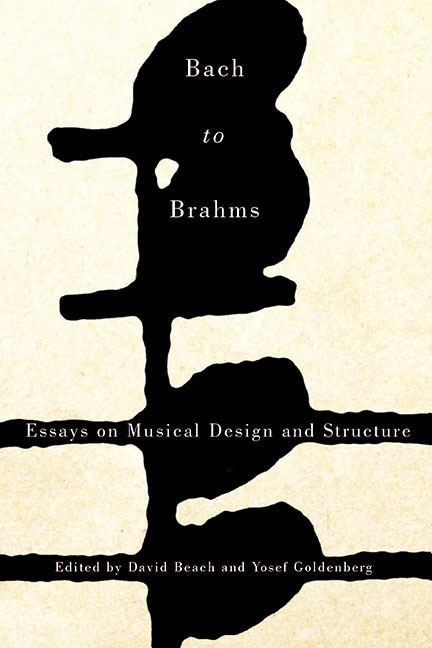 Following a preface by Pierre Boulez and an introduction by the editors, nine chapters discuss the latest thinking about general considerations such as music and gesture, the psychology of music, and the role of ethnotheory. 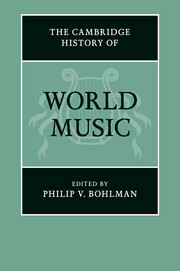 The volume offers new research on topics as diverse as modeling folk polyphony, spatialization in the Darmstadt repertoire, Schenker's theory of musical content, compositional modernism from Wagner to Boulez, current music theory terminology, and Maderna's use of folk music in serial composition. CONTRIBUTORS: Kofi Agawu, Simha Arom, Rossana Dalmonte, Irène Deliège, Jonathan Dunsby, Jonathan Goldman, Nicolas Meeùs, Jean Molino, Arnold Whittall Jonathan Dunsby is Professor of Music Theory at the Eastman School of Music, University of Rochester. Jonathan Goldman is Professor of Musicology at the University of Montreal. The essays in this volume offer rich and diverse perspectives on the encounter between Indigenous music and digital technologies. They explore how digital media -- whether on CD, VCD, the Internet, mobile technology, or in the studio -- have transformed and become part of the fabric of Indigenous cultural expression across the globe. Communication technologies have long been tools for nation building and imperial expansion, but these studies reveal how over recent decades digital media have become a creative and political resource for Indigenous peoples, often nurturing cultural revival, assisting activism, and complicating earlier hegemonic power structures. Bringing together the work of scholars and musicians across five continents, the volume addresses timely issues of transnationalism and sovereignty, production and consumption, archives and transmission, subjectivity and ownership, and virtuality and the posthuman. 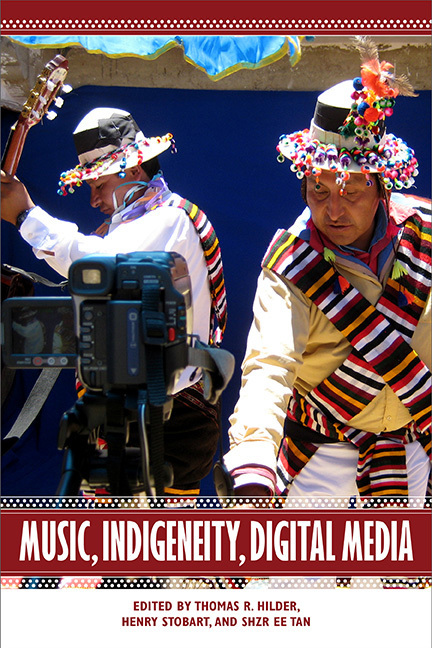 Music, Indigeneity, Digital Media is essential reading for scholars working on topics in ethnomusicology, Indigeneity, and media studies while also offering useful resources for Indigenous musicians and activists. The volume provides new perspectives on Indigenous music, refreshes and extends debates about digital culture, and points to how digital media shape what it means to be Indigenous in the twenty-first century. Contributors: Linda Barwick, Beverley Diamond, Thomas R. Hilder, Fiorella Montero-Diaz, John-Carlos Perea, Henry Stobart, Shzr Ee Tan, Russell Wallace Thomas R. Hilder is postdoctoral fellow in musicology at the University of Bergen. Henry Stobart is reader in music at Royal Holloway, University of London. Shzr Ee Tan is senior lecturer at Royal Holloway, University of London. The successful sale and distribution of music has always depended on a physical and social infrastructure. Though the existence of that infrastructure may be clear, its organization and participants are among the least preserved and thus least understood elements of historical musical culture. Who bought music and how did those consumers know what music was available? Where was it sold and by whom? How did the consumption of music affect its composition? How was consumers' musical taste shaped and by whom? 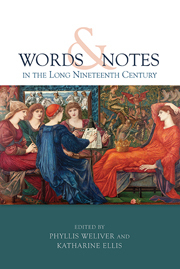 Focusing on the long eighteenth century, this collection of nine essays investigates such questions from a variety of perspectives, each informed by parallels between the consumption of music and that of dance, visual art, literature, and philosophy in France, the Austro-German lands, and the United States. 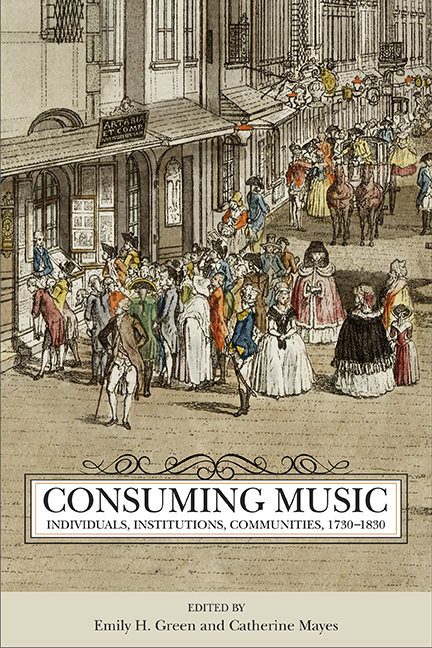 Chapters relate the activities of composers, performers, patrons, publishers, theorists, impresarios, and critics, exploring consumers' tastes, publishers' promotional strategies, celebrity culture, and the wider communities that were fundamental to these and many more aspects of musical culture. CONTRIBUTORS: Glenda Goodman; Roger Mathew Grant; Emily H. Green; Marie Sumner Lott; Catherine Mayes; Peter Mondelli, Rupert Ridgewell, Patrick Wood Uribe, Steven Zohn Emily H. Green is assistant professor of music at George Mason University. Catherine Mayes is assistant professor of musicology at the University of Utah. 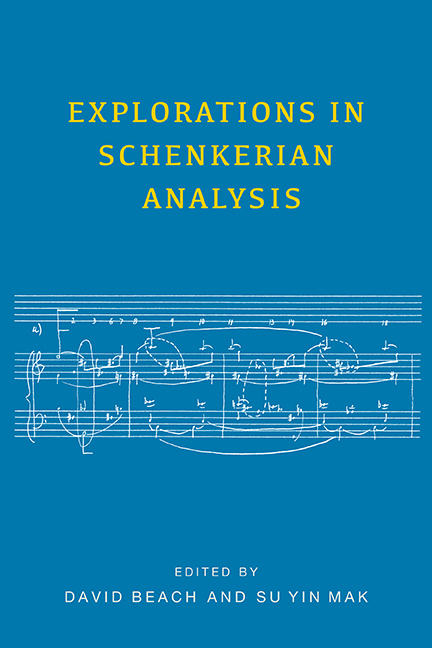 Explorations in Schenkerian Analysis is a collection of fifteen essays dedicated to the memory of Edward Laufer, an influential advocate of Schenker's method. 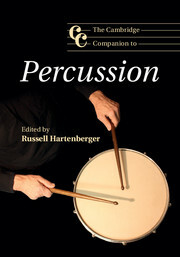 The chapters are presented in chronological order by composer, opening with Charles Burkhart's contribution, which is presented as a letter to Edward Laufer (written before his death), and ending with excerpts from Stephen Slottow's 2003 interview with Laufer (in an appendix).While the unifying focus is Schenkerian analysis, there is considerable variety in the approaches taken by the contributors. There is also variety in the composers represented, ranging from Bach to Debussy and Strauss. The volume thus displays the scope and diversity of Schenkerian studies today.CONTRIBUTORS: Mark Anson-Cartwright, David Beach, Matthew Brown, Charles Burkhart, L. Poundie Burstein, Timothy L. Jackson, Roger Kamien, Leslie Kinton, Su Yin Mak, Ryan McClelland, Don McLean, Boyd Pomeroy, William Rothstein, Frank Samarotto, Stephen Slottow, Lauri SuurpääDavid Beach is professor emeritus and former dean of the Faculty of Music, University of Toronto. Su Yin Mak is associate professor of music at the Chinese University of Hong Kong. 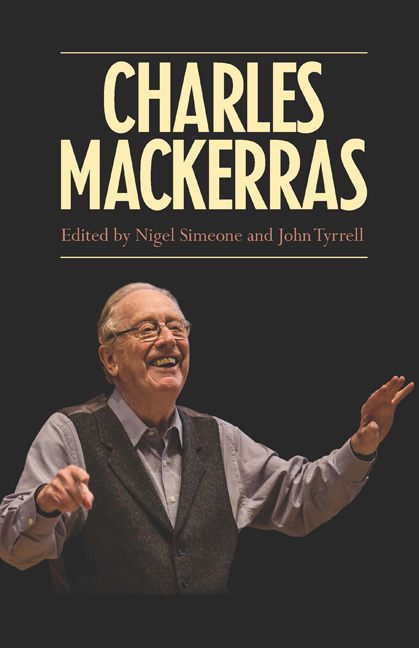 By the time of his death in 2010 at the age of 84, Sir Charles Mackerras had achieved widespread recognition, recorded extensively and developed into a conductor of major international significance. In addition to areas in which he already had forged a distinctive and definitive profile (Janacek, Mozart, Handel, Sullivan) he revisited - and rethought - much of the standard repertoire. The last thirty years were particularly momentous in the coming to fruition of so many cherished projects: not only the Janacek operas but the Gilbert and Sullivan series, the Mozart operas, the two Beethoven cycles, other projects with the Scottish Chamber Orchestra (Schumann and Brahms at Edinburgh; the outstanding late Mozart) and at the Royal Opera House and the Met. Unspoilt by fame, and undeterred by personal tragedies and increasing physical frailty, he remained productive and inventive: for him music-making, whether with world-class professionals or with students, was a kind of joyous oxygen that kept him going right to the end. A detailed narrative account of his life by Nigel Simeone is complemented by chapters written by performers and scholars who worked closely with him: Alfred Brendel, Dame Janet Baker, David Lloyd-Jones, Dame Anne Evans, Sir Antonio Pappano, Sir Nicholas Hytner, John Tyrrell and Jiri Zahradka. There are also chapters based on interviews with his family. The book is illustrated with photographs, both informal and professional, and is supplemented by an up-to-date discography, by listings of all the performances of Janacek operas Sir Charles conducted and of all his concerts in Czechoslovakia and the Czech Republic. While Sir Charles' whole life is considered, emphasis is given to his final quarter century in which so many important projects were realized. This book celebrates and epitomizes an exceptional life. NIGEL SIMEONE has published books on Janacek, Messiaen and Bernstein. JOHN TYRRELL has published books on Janacek and Czech opera and, with Sir Charles Mackerras, edited two Janacek operas. Contributors: Janet Baker, Alfred Brendel, Ales Brezina, Rosenna East, Anne Evans, Nicholas Hytner, Simon Keenlyside, David Lloyd-Jones, David Mackie, Chi-chi Nwanoku, Antonio Pappano, Nigel Simeone, John Stein, Heinz Stolba, Patrick Summers, John Tyrrell, Malcolm Walker, David Whelton, Jiri Zahradka. 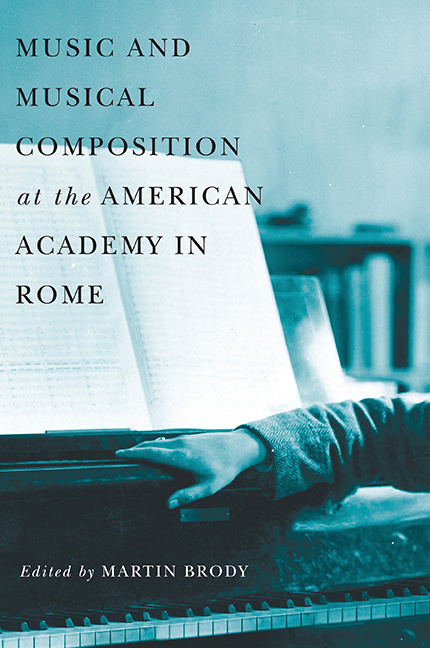 The American Academy in Rome launched its Rome Prize in Musical Composition in 1921, a time in the United States of rapidly changing ideas about national identity, musical values, and the significance of international artistic exchange. Music and Musical Composition at the American Academy in Rome tells the story of this prestigious fellowship. Combining cultural analysis with historical and personal accounts of a century of musical life at the American Academy in Rome, the book offers new perspectives on a wide range of critical topics: patronage and urban culture, institutions and professional networks, musical aesthetics, American cultural diplomacy, and the maturation ofa concert music repertory in the United States during the twentieth century. Contributors: Martin Brody, Elliott Carter, John Harbison, Christina Huemer, Carol Oja, Andrew Olmstead, Vivian Perlis, Judith Tick, Richard Trythall. Martin Brody is the Catherine Mills Davis Professor of Music at Wellesley College, and served as the Andrew Heiskell Arts Director at the American Academy in Rome from 2007 to 2010. Exploring the crossroads between autobiographical narrative and musical composition, this book examines Berg's transformation of Frank Wedekind's Erdgeist (1895) and Die Büchse der Pandora (1904) -- the plays used inthe formation of the libretto for Lulu -- according to notions of gender identity, social customs, and the aesthetics of modernity in Vienna of the 1920s and 1930s. While Berg modernized several aspects of the plays by Wedekind and incorporated serial techniques of composition from Arnold Schoenberg, he never let go of the idealistic Wagnerian perspectives of his youth. In fact, he went as far as reconfiguring aspects of Richard Wagner's life as anideal identity to be played out in the compositional process. In the process of composing the opera, Berg also reflected on the most important cultural figures in fin-de-siècle Vienna that affected his worldview, including Karl Kraus, Emil Lucka, Otto Weininger, and others. 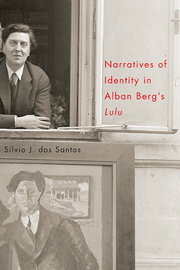 Adopting an approach that combines a systematic analysis of Berg's numerous sketches for Lulu, correspondence, and the finished work with interpretive models drawn from cultural studies and philosophy, this book elucidates the ways in which Berg grappled with his self-image as an "incorrigible romantic" (unverbesserliche Romantiker) at the end of his life, explaining aspects of his musical language that have been considered strange or anomalous in the scholarship. Silvio J. dos Santos is assistant professor of musicology at the University of Florida. 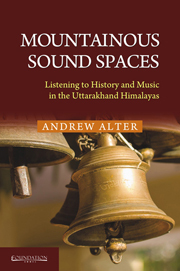 This book provides a perspective on cultural practice in the Himalayas that engages directly with the sonic world of musical production, thus emphasizing how the invisible world of sound is critical to shaping imagined histories, creating mythologized heroes and amplifying the stories of mountains and people. Together, Garhwal and Kumaun comprise the present-day Indian state of Uttarakhand, a state with unique histories associated with Hindu mythology, immigrant communities from western India, Gorkha conquest, British colonialism and modern-day India. The book situates the reader within the history and geography of Garhwal and provides general information on a selection of instruments and sound structures. The reader is introduced to Garhwal's aristocratic and colonial past as well as to the region's folklore. The music of bagpipes echoes a colonial past by blending British regimental histories with contemporary folk traditions. Drum and trumpet ensembles echo the martial traditions of Rajputs and Mughals and confirm migratory histories between the mountains and the plains. Flutes echo the supernatural world of sprites and gods and become a potent symbol of dangerous love. The book also uses a variety of theoretical models to explore the ways in which music is described and explained in academic literature and mystic traditions. The nature of sound as well as its relationship to language is re-examined in the context of the Himalayas. It provides the reader with a framework for understanding how music is created and how repertoire is organized. In addition, it moves the reader between the worlds of epic performance and contemporary practice giving a sense for disparate sites of musical production and performance. Percival Kirby was a musician and ethnomusicologist and for many years head of the music department at the University of the Witwatersrand, Johannesburg. Between 1923 and 1933 he undertook more than nine expeditions as well as many shorter excursions around South Africa. He was hosted by local chiefs and taught to play the instruments he encountered. He managed to purchase many of them, and this collection, now known as the Kirby Collection, is housed at the South African College of Music, University of Cape Town. First published as Musical Instruments of the Native Races of South Africa in 1934, the book was the culmination of research trips undertaken by Percival Kirby. It became the standard reference on indigenous South African musical instruments. The bulk of the material is concerned with detailed information on the making and playing of each instrument, and is accompanied by a large number of musical examples. 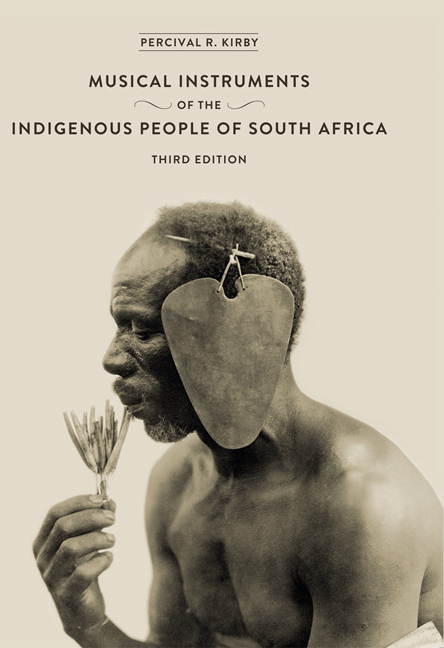 This third edition contains an introduction by Mike Nixon, Head of the Ethnomusicology and African Music at the South African College of Music, and new reproductions of the valuable historic photographs, but leaves Kirby’s original text unchanged. This collection of critical essays examines the diverse ways in which music -- and ideas about it -- have been disseminated in print and other media from the sixteenth century onward. Contributors look afresh at unfamiliar facets of the sixteenth-century book trade and the circulation of manuscript and printed music in the seventeenth to nineteenth centuries. They also analyze and critique new media forms, showing how a dizzying array of changing technologies has influenced what we hear, whom we hear, and how we hear. The repertoires considered include Western art music -- from medieval to contemporary -- as well as popular music and jazz. 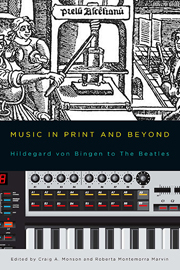 Assembling contributions from experts in a wide range of fields, such as musicology, music theory, music history, and jazz and popular music studies, 'Music in Print and Beyond: Hildegard von Bingen to The Beatles' sets new standards for the discussion of music's place in Western cultural life. Roberta Montemorra teaches music at the University of Iowa and is the author of 'Verdi the Student-Verdi the Teacher' (Istituto Nazionale di Studi Verdiani, 2010) and editor of 'The Cambridge Verdi Encyclopedia' (Cambridge University Press, 2013). Craig A. Monson is a Professor of Musicology at Washington University (St Louis, Missouri) and is the author of 'Divas in the Convent: Nuns, Music, and Defiance in 17th-century Italy' (University of Chicago Press, 2012). Scholars have long known that world music was not merely the globalized product of modern media, but rather that it connected religions, cultures, languages and nations throughout world history. The chapters in this History take readers to foundational historical moments – in Europe, Oceania, China, India, the Muslim world, North and South America – in search of the connections provided by a truly world music. Historically, world music emerged from ritual and religion, labor and life-cycles, which occupy chapters on Native American musicians, religious practices in India and Indonesia, and nationalism in Argentina and Portugal. The contributors critically examine music in cultural encounter and conflict, and as the critical core of scientific theories from the Arabic Middle Ages through the Enlightenment to postmodernism. Overall, the book contains the histories of the music of diverse cultures, which increasingly become the folk, popular and classical music of our own era. While ethnomusicologists and anthropologists have long recognized the theoretical connections between gender, place, and emotion in musical performance, these concepts are seldom analyzed together. Performing Gender, Place, and Emotion in Music is the first book-length study to examine the interweaving of these three concepts from a cross-cultural perspective. Contributors show how a theoretical focus on one dimension implicates the others, creating a complex nexus of performative engagement. This process is examined across different regions around the globe, through two key questions: How are aesthetic, emotional, and imagined relations between performers and places embodied musically? And in what ways is this performance of emotion gendered across quotidian, ritual, and staged events? Through ethnographic case studies, the volume explores issues of emplacement, embodiment, and emotion in three parts: landscape and emotion; memory and attachment; and nationalism and indigeneity. Part I focuses on emplaced sentiments in Australasia through Vietnamese spirit possession, Balinese dance, and land rights in Aboriginal performance. Part II addresses memories of Aboriginal choral singing, belonging in Bavarian music-making, and gender-performativity in Polish song. Part III evaluates emotion and fandom around a Korean singer in Japan, and Sámi interconnectivities in traditional and modern musical practices. 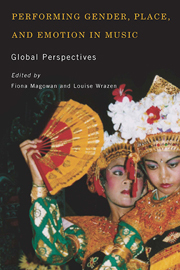 Fiona Magowan is Professor of Anthropology at Queen's University, Belfast. Louise Wrazen is Associate Professor of Music at York University. Herbert Howells (1892-1983) was a prodigiously gifted musician and the favourite student of the notoriously hard-to-please Sir Charles Villiers Stanford. Throughout his long life, he was one of the country's most prominent composers, writing extensively in all genres except the symphony and opera. Yet today he is known mostly for his church music, and there is as yet relatively little serious study of his work. 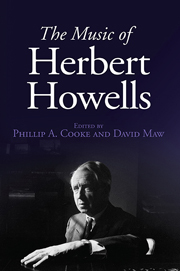 This book is the first large-scale study of Howells's music, affording both detailed consideration of individual works and a broad survey of general characteristics and issues. Its coverage is wide-ranging, addressing all aspects of the composer's prolific output and probing many of the issues that it raises. The essays are gathered in five sections: Howells the Stylist examines one of the most striking aspect of the composer's music, its strongly characterised personal voice; Howells the Vocal Composer addresses both his well-known contribution to church music and his less familiar, but also important, contribution to the genre of solo song; Howells the Instrumental Composer shows that he was no less accomplished for his work in genres without words, for which, in fact, he first made his name; Howells the Modern considers the composer's rather overlooked contribution to the development of a modern voice for British music; and Howells in Mourning explores the important impact of the death of Michael on his father's life and work. The composer that emerges from these studies is a complex figure: technically fluent but prone to revision and self-doubt; innovative but also conservative; a composer with an improvisational sense of flow who had a firm grasp of musical form; an exponent of British musical style who owed as much to continental influence as to his national heritage. This volume, comprising a collection of outstanding essays by established writers and emergent scholars, opens up the range of Howells's achievement to a wider audience, both professional and amateur. PHILLIP COOKE is Lecturer in Composition at the University of Aberdeen. DAVID MAW is Tutor and Research Fellow in Music at Oriel College, Oxford, holding Lectureships also at Christ Church, The Queen's and Trinity Colleges. CONTRIBUTORS: Byron Adams, Paul Andrews, Graham Barber, Jonathan Clinch, Phillip Cooke, Jeremy Dibble, Lewis Foreman, Fabian Huss, David Maw, Diane Nolan-Cooke, Lionel Pike, Paul Spicer, Jonathan White. Foreword by John Rutter. Sir Hamilton Harty (1879-1941) is best known as the conductor of the Hallé Orchestra. As its Principal Conductor between 1920 and 1933, Harty arguably made Manchester the most important focus for music in Britain, since the Hallé were considered to be the finest orchestra in the country. A great exponent of Mozart and especially Berlioz, Harty was also a keen exponent of British music. 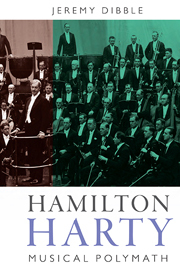 This book chronicles and analyses Harty's emergence as a conductor between 1910 and 1920, when he did much of his conducting with the LSO in London (in part through his acquaintance with Hans Richter); Harty's tenure at the Hallé; and his departure in 1933, when he became effectively freelance as a conductor. From his first American tour in 1931, Harty became an active supporter of American composers such as Gershwin, and he regularly performed in the US throughout the 1930s. His health began to decline seriously in the late 1930s, and he died from cancer in 1941 at the age of only 61. Arriving in London in 1901 without any qualifications, Harty established himself quickly as London's premiere accompanist. His considerable reputation as a pianist brought him into contact with the great instrumental performers of his age such as Fritz Kreisler, as well as a vast array of singers both native and continental. The book also looks at his life as a composer of orchestral and chamber works and songs, notably before the First World War. Although Harty's music cleaved strongly to a late nineteenth-century musical language, he was profoundly influenced during his days in Ulster and Dublin by the Irish literary revival. Harty's conducting career, his role in the exposition of standard and new repertoire and his relationship with contemporary composers and performers provides a major focus for this book, against the perspective of other important major British conductors such as Sir Thomas Beecham, Malcolm Sargent or Sir Henry Wood. The book discusses why Harty largely remained an orchestral and choral conductor rather than an operatic one, and it also analyses in detail the controversies he provoked on the subjects of women orchestral players, jazz, modernism, and the music of Berlioz, among others. JEREMY DIBBLE is Professor of Music at Durham University. Bálint András Varga makes available here twenty-one extended interviews with some of the most notable figures in music from the past fifty years, as well as lively "snippets" from interviews Varga conducted with thirteen other equally renowned musicians. The interviewees include singers Elisabeth Schwarzkopf and Cathy Berberian; pianists Alfred Brendel and Arthur Rubinstein, violinists Isaac Stern and Yehudi Menuhin; conductors Claudio Abbado and Sir Neville Marriner; composers György Ligeti, and Karlheinz Stockhausen; and legendary pedagogue Nadia Boulanger. Of special interest is an interview with the reclusive composer György Kurtág, here published for the first time in any language. 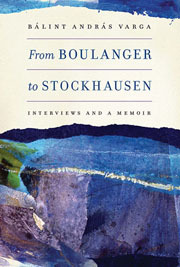 From Boulanger to Stockhausen concludes with a touching memoir by Varga of his experiences growing up in a Jewish family in Hungary during World War II and the early years of Communist rule. Varga's recollections also include details about how he managed to interview so many remarkable musicians-thanks in large part to his employment at the Hungarian state radio station and then in the music-publishing industry, which brought him to, among other places, London and Vienna, where he now lives. Bálint András Varga has spent nearly forty years working for and with composers. His previous books for the University of Rochester Press are György Kurtág: Three Interviews and Ligeti Homages and Three Questions for Sixty-Five Composers. Music and Ultra-Modernism in France examines the priorities of three generational groupings: the pre-war Société Musicale Indépendente of Ravel and his circle, Les Six in the 1920s and Jeune France in 1936. Exploring the ideas of consensus, resistance and rupture, the book contributes an important and nuanced reflection to the current debate on modernism in music. It considers the roles composers, critics and biographers played in shaping debates about contemporary music, showing how composers including Ravel, Poulenc, Milhaud, Jolivet and Messiaen and critics such as Paul Landormy, André Coeuroy and Roland-Manuel often worked in partnership to bring their ideas to a public forum. It also expands the notion of 'interwar' through the essential inclusion of World War I and the years before, reconfiguring the narrative for that period. This book challenges some of the stereotypes that characterise the period, in particular, neo-classicism and the dominance of secularism. It shows how Stravinsky worked closely with Ravel, Satie and Poulenc and invited audiences and critics to rethink what it meant to be modern. The interwar years were also marked by commemoration and loss. Debussy's wartime death in 1918 stimulated competing efforts (by Emile Vuillermoz, Léon Vallas and Henry Prunières) to shape his legacy. They were motivated by nostalgia for a lost and glorious generation and a commitment to building a legacy of French achievement. 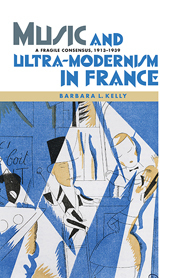 Music and Ultra-Modernism in France argues for the vitality of French music in the period 1913-39 and challenges the received view that the period and its musical culture lacked dynamism, innovation or serious musical debate. BARBARA L. KELLY is Professor of Music at Keele University. In Javanese Gamelan and the West, gamelan performer and scholar Sumarsam explores the concept of hybridity in performance traditions that have developed in the context of Javanese encounters with the West. The book begins by looking at the "domestication" of Western music in Java during the colonial and postcolonial eras, including brass bands in gendhing mares court music and West Javanese tanjidor; Western elements in contemporary wayang puppet plays; and works by contemporary composers and a choreographer. 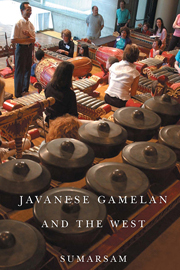 In the second part of the book, Sumarsam turns to the presentation and representation of gamelan in the West, exploring cross-cultural perspectives on gamelan theory and discussing the presence of gamelan in Western World's Fairs and American academia. Framing his discussion within the perspectives of interculturalism and hybridization, Sumarsam demonstrates how Javanese performing arts have developed over time as a manifestation and reflection of overlapping networks of individual, social, and institutional actions and ideas.Sumarsam is a University Professor of Music at Wesleyan University. He is the author of Gamelan: Cultural Interaction and Musical Development in Central Java (University of Chicago Press, 1995) and numerous articles in English and Indonesian. As a gamelan musician and a keen amateur dhalang (puppeteer) of Javanese wayang puppet play, he performs, conducts workshops, and lectures throughout the US, Australia, Europe, and Asia.